Renowned for its natural exquisiteness, Kashmir is among the best retreats for travellers. 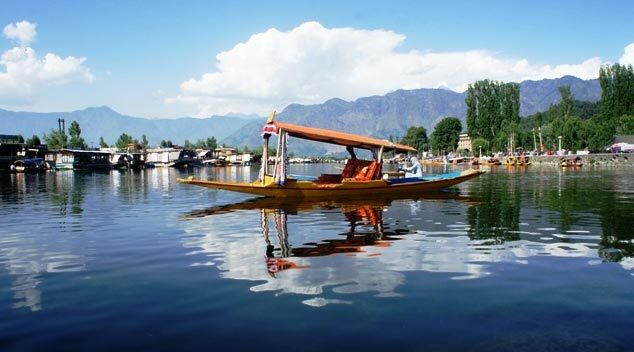 It soothes their eyes with the delighting vistas of the Dal Lake, Mughal Gardens, meadow of flowers and snowy landscape. If you also wish to bask in the natural splendor of this heavenly destination without any hassle, book a Kashmir Holiday Package from Tour My India. 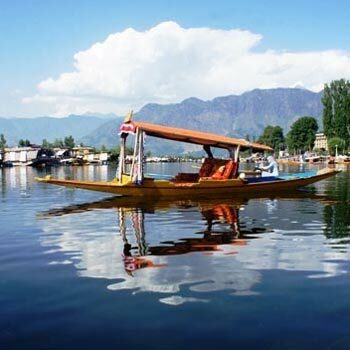 This tour package allows you to explore the splendor of Srinagar through a visit to the Mughal Gardens, boat ride on the Dal Lake and local sightseeing tour. Moreover, you also get the opportunity of witnessing the beauty of Gulmarg. Feather in the hat is that you get all this and much more at the most reasonable prices. So, what are you waiting for, avail the Kashmir Weekend Tour Package given below. Arrive Srinagar, pride of the beautiful valley of Kashmir famous for its lakes dotted with Shikaras and the Mughal Gardens. Transfer to Hotel/ Houseboat. day at leisure, Shikara ride to Nehru Park in the evening at own cost, Overnight in the Houseboat. After breakfast excursion to the Mughal gardens built by Emperor Jahangir. Also visit to the Shalimar bagh & Nishat bagh other beautiful gardens located on the eastern side of the Dal lake. Evening free for shopping. Overnight in the Hotel. This morning you will proceed for a full day excursion to Gulmarg, Meadow of Flowers ( 56 kms /2 hrs) situated at an altitude of 2730 meters, full day at leisure to take the leisurely walks on the lush green meadows of flowers with a backdrop of the snow capped mountains. Enjoy pony ride or Gondola ride (rope way) to Khillanmarg at your own cost, Later come back to Srinagar for overnight stay. After breakfast, transfer to airport with Sweet Memories for onward flight back home.